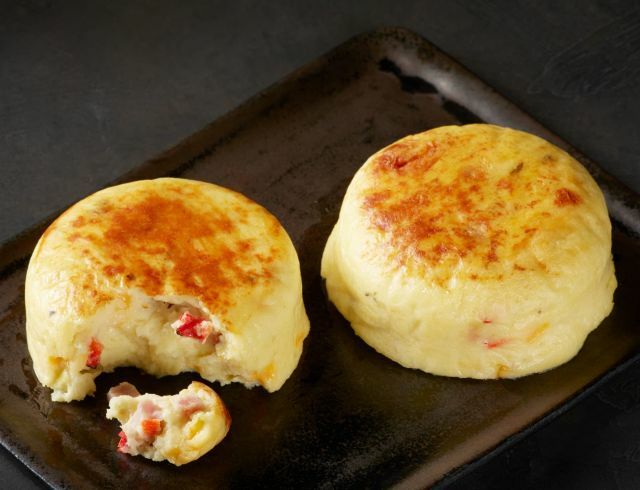 Starbucks adds some new food items to the menu this winter, including new Ham, Cheddar, and Peppers Sous Vide Egg Bites. Taking inspiration from the Denver omelette, cage-free eggs are gently cooked with cheddar, cottage, and Monterey Jack cheese plus onions, uncured ham, and red and green bell peppers. - New Ham & Swiss Panini - Uncured ham, Swiss cheese, and Dijon butter on a baguette. - New Red Velvet Loaf Cake - Red velvet cake swirled with vanilla-flavored cake and topped with white chocolaty icing. - Morning Bun (new recipe) - They've updated the recipe for their Morning Bun promising "more flakiness in every bite." 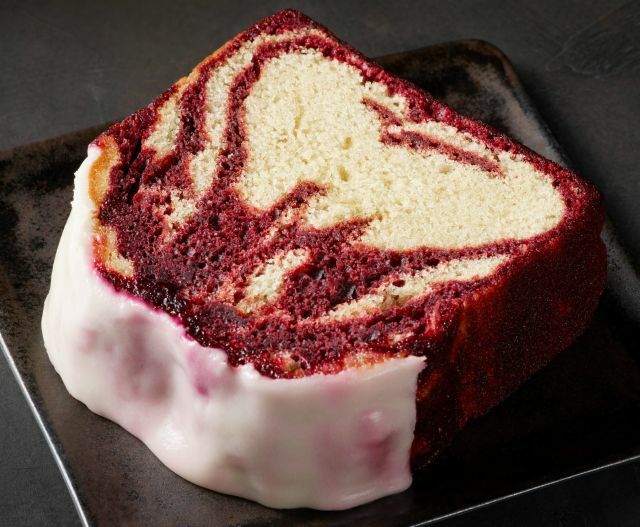 All the new food items are permanent menu additions except for the Red Velvet Loaf Cake, which is available for a limited time, while supplies last.